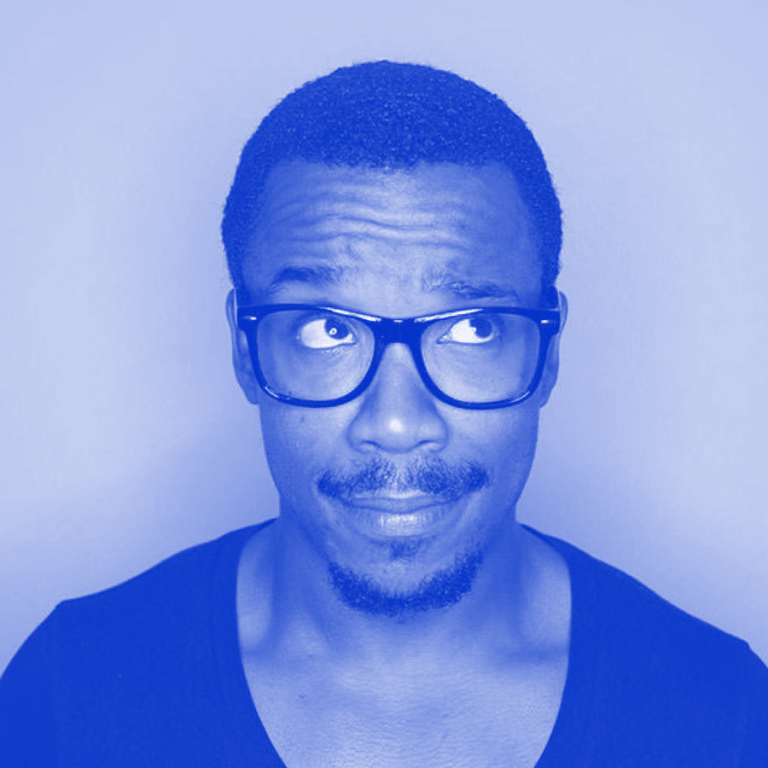 Benjamin Earl Evans is a inclusive design lead – a new breed of problem solvers tackling issues like racism, sexism and bias. He uses design thinking to help everyone – from creative professionals to business leaders – create more inclusive products and services. Currently, he works as design lead for Airbnb’s anti discrimination team. Previously, he worked to craft award-winning solutions for clients all over the world. [from Benjamin’s LinkedIn profile]. This article is from a series of interviews that took place at the Front Conference in 2018. 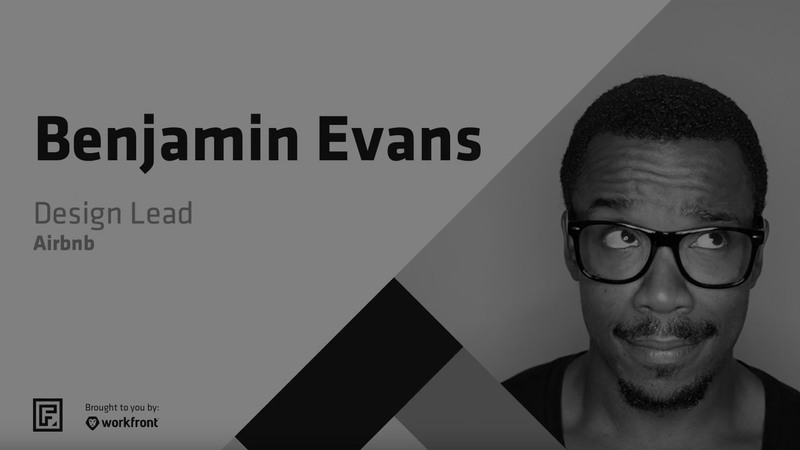 Eli: Benjamin Evans, Inclusive Design Lead for Anti-Discrimination and Belonging at Airbnb, welcome to Conversations on Designbetter.co. Benjamin: Thank you for having me. Eli: It’s wonderful to have you. Airbnb’s mission is to help create a world where you can belong anywhere, which is fantastic, but it can’t work if it excludes anyone, regardless race, gender, ethnicity, etc. 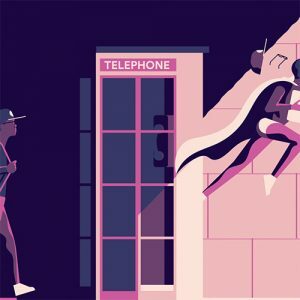 What are some of the challenges you’re currently tackling or have already addressed that are helping the product achieve this ambitious goal? Benjamin: The most interesting and complex challenge is the fact that we, as humans, all have bias. It is an evolutionary response that is built in to all of us. So when you’re trying to build a product that connects people from different cultures across language barriers, you get to see all of these things that are fundamentally human almost being exacerbated in these moments. Challenging bias is the key to building great products. Watch Benjamin Evans speak about inclusive design, recorded at the Front Conference in June of 2018. I think the biggest challenge within this is: How do we gently guide people toward a more open world view while still respecting the beliefs they have? You don’t want to do any of this in a manipulative way. It needs to be one of those things that’s led by transparency. It’s kind of like a game of nuance. What are the very small amount of dials that we can change within the product experience, whether it be anything from finding a listing to contacting your host, how can we help you build enough empathy so that you see that you’re more alike than you are different? Eli: You’re deeply versed in design thinking. 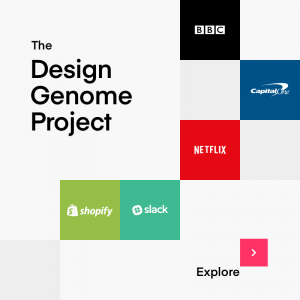 How can that toolkit help everybody, not just designers, create more inclusive products and services? Benjamin: I just love that it always starts with people. That when done properly, it forces you to go out into the world and to find people who have specific needs but who often are from very different backgrounds than you. Because you can have a multitude of different people who need to achieve the same goal, but their life stories are entirely different. I love that design thinking kind of pushes you to go out there, to make these face-to-face connections and in doing so, you kind of have to challenge your own bias and your own assumptions that you make if you are really going to create a product that empowers these people. Eli: We were chatting before we started this recording and you were a part of the Matter accelerator program for media-driven startups. We have a mutual friend, Corey Ford, who has been a mentor to us both. What are some of the key things that you learned in that program? Benjamin: I suppose the first thing that comes to me is being willing to say, “I don’t know.” One of my habits before joining Matter was absolutely to kind of say, “Yep, here’s the solution. Let’s do this, let’s run toward it a thousand miles an hour.” And joining Matter and going through their onboarding where Corey really grounded everything that I, to be honest, know about design and design thinking, and being willing to start from a place of “I don’t know” is quite a liberating thing. 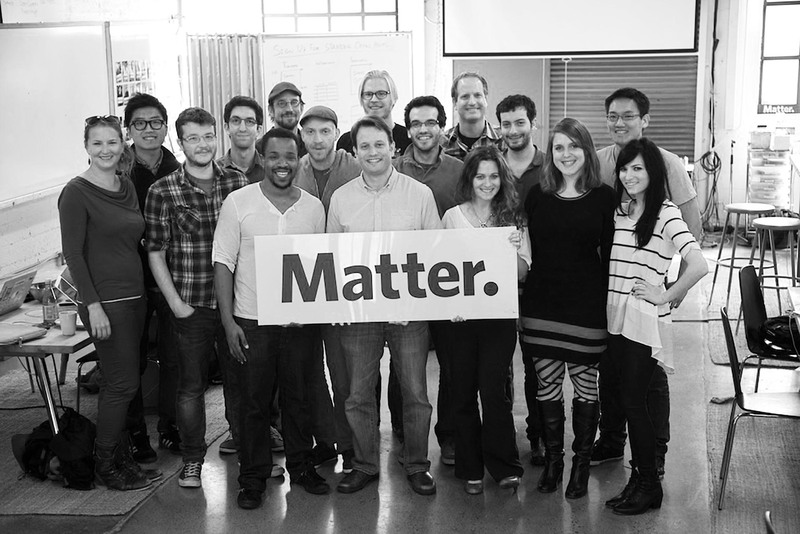 Benjamin was a founder in the 2nd class of the Matter accelerator (Managing Partner Corey Ford to right, holding sign). It’s a very scary habit to learn, especially as humans, we never want to be seen to not know the answer to something. But being able to say “I don’t know” for something and then being willing to go on what Corey calls—and I know you know— “the drunken walk of the entrepreneur.” Finding your way through need-finding, through problems, two different groups of people, so that you can create a solution that really works. Eli: So I’m curious, because I’ve gone through this path myself where I’ve been an entrepreneur, then I’m back to work for a larger company. What are some of the things that you’re taking from your entrepreneurial journey into your current role at Airbnb? Benjamin: Dealing with uncertainty. Yeah, that’s the No. 1 thing that springs to mind. But even still, there is that deep uncertainty about, “What are we going to be doing to solve very specific problems?” Being okay with that, knowing that you can—no matter what—rely on the process more so than the solutions, and know that if you’re willing to do that drunken walk and keep iterating and keep owning the fact that you don’t know, you will get there. You know what I mean? It’s been fascinating going from being an entrepreneur where everything is on fire all the time, and you never know if you’re making the right decision, to going within an organization that provides you with a lot of support. Eli: One way or another. Might not be a straight line. Eli: Are there any books or blogs or podcasts that you’re reading right now that are having an impact on you? Benjamin: I’ve completely fallen in love with Malcolm Gladwell’s “Revisionist History” podcast. 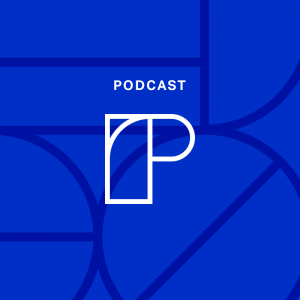 Of course, the initial thing that jumps to mind is the “99% Invisible” podcast, but that’s a very designer-y thing to answer, but I just love the way that Malcolm Gladwell is such a good storyteller. And whatever journey that he’s going to take you on, you know that he’s taking you there because he has fallen in love with every single facet of it. Only yesterday, I was out for a run, listening to one of the newer episodes, where they’re talking about the U.S. Constitution, which is very topical right now. And just talking about the role that a comma plays in the way that things are phrased. And how because of the way that it is phrased, there’s actually a lot of ambiguity to do with certain clauses within the U.S. Constitution that your grammar students and professionals are like, “Yeah, this could be interpreted in an entirely different way.” I just love the nuance he finds within seemingly tiny stories. Eli: And his production is just fantastic. Eli: Hard to compete with. And are there any books or blogs or podcasts that shaped your career early on or that influenced you earlier? Benjamin: I’m gonna have to think about that for a second, actually. Eli: Sure, yeah, take your time. Or it could even be people too. Benjamin: Okay, so this is going to sound… Immediately when I think of people, there’s something ridiculous that comes to mind, which is The Rock. Eli: I love The Rock. Benjamin: Because, I don’t know if you’ve seen The Rock’s Instagram. Eli: I have a little bit, yeah. Benjamin: It’s just this never-ending stream of, “Here’s the challenge that I faced. Here is how I’ve overcome it by like doubling down on myself and my family and those around me,” and there’s just this overwhelming sense of positivity, this momentum. 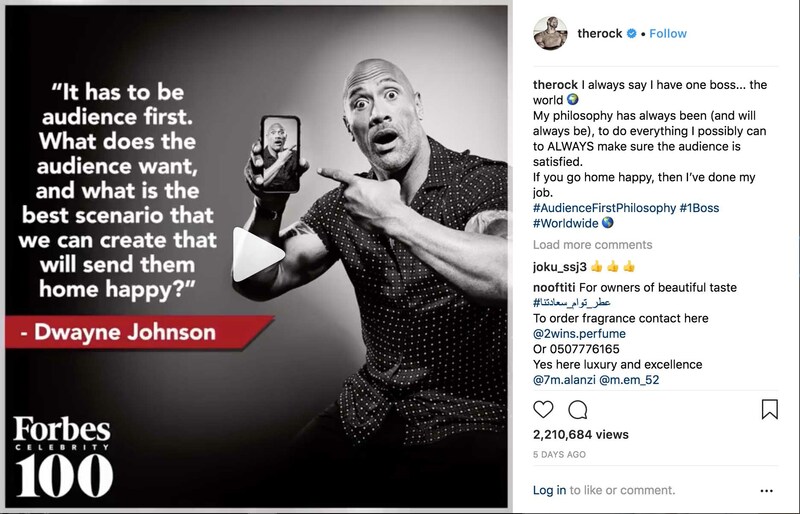 The Rock clearly believes in customer-centric design. I know it sounds weird to say, but it’s that real inspiration kind of thing, seeing that every morning he gets up at 5 AM, and he’s at the gym for like an hour and a half and then seems to manage all of these different projects while still being an amazing family person as well, and just really loving everything about life. I think that’s something that’s really quite inspiring. Obviously, there’s the cult of celebrity that you think about, but it always comes across as very genuine, and I think that is something that’s really interesting, in a world where we’re all kind of front and social media and likes and thumbs-up, to see someone just sharing their experience for the joy of loving what they do. Eli: I love that. Rock for president. Benjamin: Rock 2020, bring it on. Eli: Awesome, and my daughter loves “Moana” too, so there’s yet another reason to love The Rock. Well, Benjamin, thank you so much for being on the show, we loved having you here. Benjamin: Thank you so much, that was fun. Want more great design leadership tips and tricks? Head over for a deep dive into the Design Leadership Handbook.